I am happy to launch the first post of what will be a monthly recurring series: the 3D print of the month. As part of my goals for 2014 I set myself the objective to do one 3D print per month where I report the complete process and results here on the blog. When I say the complete process, I mean the good, the bad and the ugly. So I will cover everything that went well and also those things that didn’t go so well. 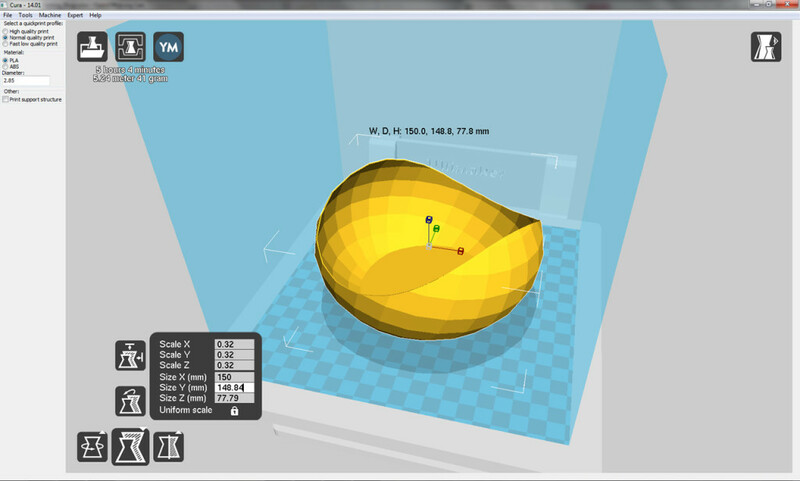 A lot of visitors to the blog ask the question: what can I do with a 3D printer? With the 3D print of the month I intend to give an answer to that question by illustrating this with concrete examples. I want to show how a 3D printer can be used to create practical items, repairs or simply decorative objects. I own a 3D printer for over a year now and I have cranked out well over one hundred prints but I am by no means on the top of the learning curve. I want to keep learning and challenge myself and my Ultimaker to explore 3D printing to even greater depth. That includes learning from fellow 3D printing enthusiasts. I encourage you to come forward to share your know-how and insights. Together we can learn a lot faster and help all of those who are just getting into 3D printing. 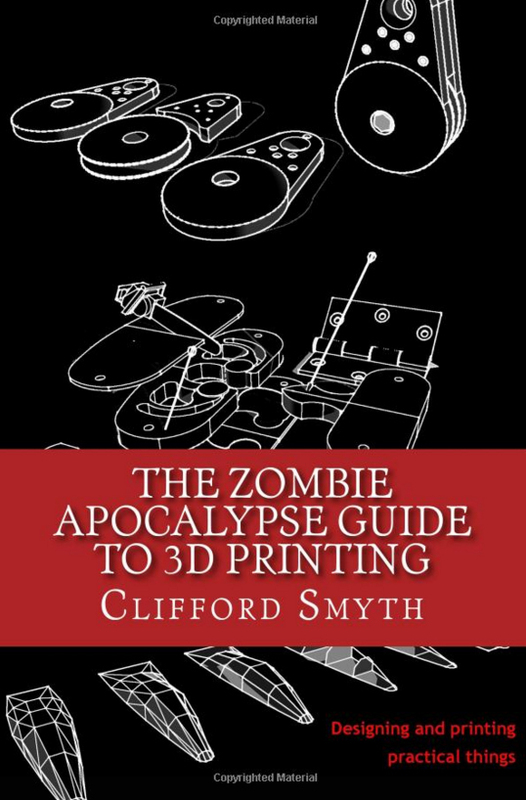 Enough of the introduction, let’s get to the first 3D print of the month for 2014. The motivation behind the January 3D print of the month was simply to print an object with a big build volume. A lot of the 3D prints I have done so far have been smaller not really making full use of the Ultimaker’s considerable build volume (210 x 210 x 205 mm). I searched Thingiverse to find a 3D model to suit my needs. By browsing some of my favorite collections I quickly found what I was looking for. 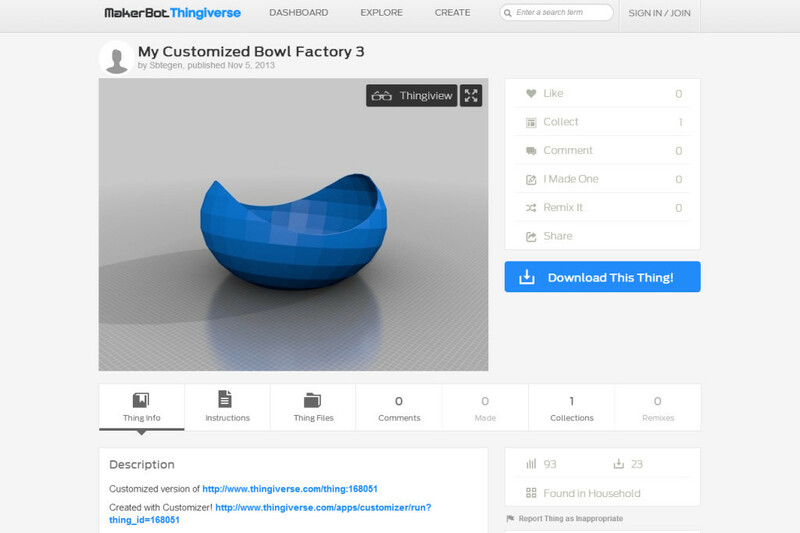 The container collection of Thingiverse features bowls, tray and boxes of all shapes and sizes. After a bit of browsing, I settled for the My Customized Bowl Factory 3, a bowl with nicely curved edges and an interesting surface texture. I downloaded the *.stl file from Thingiverse and loaded it straight into Cura, the slicing software of Ultimaker. The bowl’s original size is 469 x 466 x 243 mm thereby way too large to fit onto the print bed. I scaled the model down to a size of 150 x 148 x 77 mm using the scale command. The only other preparation work was to put new tape on the print bed and the print was ready to be launched. Cura estimated the print duration at 4.20 hours. Once the nozzle was heated up to 220°C, the Ultimaker set to work. I always keep a close eye on the first 10-15 minutes of a new 3D print just to make sure that the print does not get botched by a lapse in the first few minutes of printing. 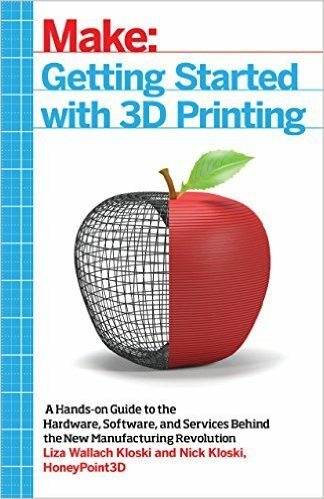 This is especially important for prints that will need several hours to be complete and where you are likely to leave the 3D printer unsupervised for at least part of the printing process. After I was re-assured that the base layers of the bowl were in place without any issues I checked in on the print periodically. After about an hour of printing, as the Ultimaker was finishing the base of the bowl I started hearing that the printer nozzle started to rub against the lower layers of PLA in two different spots of the print. I have experienced this before and it is the tell-tale sign that some warping is occurring. Warping happens when the PLA material cools down from the melt temperature and starts shrinking. The geometry of the print becomes uneven hence why the printer nozzle may rub against the existing part of the print instead of layering new material on top of it. I kept a close eye on this for a while and the problem started disappearing as the print grew beyond the first 1.5cm of the walls of the bowl. However, since the geometry of the print had been affected some imperfections had appeared in the lower section of the bowl. In the end, the 3D print of the bowl took slightly over 5 hours to complete. As most 3D prints and due to the warping, the bowl needed a little bit of post-processing: using a Dremel I cleaned the rough edges and removed some of the imperfections created by drops and threads of excess PLA. Re-sizing: in hindsight, I re-sized the bowl a bit too much. The resulting size of 150 x 148 x 77mm doesn’t fully stretch the limits of the Ultimaker’s build volume. This is certainly something I can catch up on with a next print. Touching the build platform: when I noticed that the print started warping I tried to investigate this a bit closer. It turns out that I touched the build platform and inadvertently pushed down on it which obviously impacted the print. Unfortunately, the printer was just laying the finishing layer of the bottom of the bowl which now has a couple of imperfections. So clearly, hands off the build platform when a 3D print is in process! Warping: as the Ultimaker original does not have a heated print bed, I experience warping (shrinking of the PLA material as it cools from the melt temperature) with almost every print I do. In case of the bowl, the warping was not too strong but I still believe to be at the origin of some of the imperfections that occured in the lower section of the bowl. I don’t see what I could have done not to encounter warping issues though I am now looking into building a retrofit heated print bed. Overall, I am pleased with the result of the print. Having removed some of the slight imperfections from the printing process the bowl looks great and is being used as a fruit bowl now. Have you experienced similar issues with your 3D prints? Or is there a particular object you would like to suggest for the next edition of the 3D print of the month? Please let me know by leaving your comments below. On 26 and 27th of February more than 25 brands of 3D printers at Rapidpro in Veldhoven, The Netherlands.